We form barriers in our mind when we are told certain achievements are not likely and even sometimes try less hard to exceed the limits previously set because we are influenced to feel that the odds are against us. Just as drivers are told to look where they want to go not where they are trying to avoid, the frame of mind can sometimes steer the driver beyond pushing their personal limits. It was with these obstacles that I attended the Über Garage Anniversary trackday. 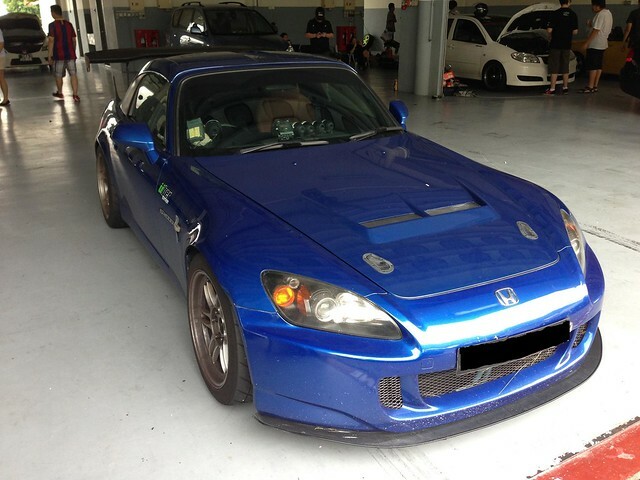 2:38 & 2:39 were lap times on street tyres set by experienced S2000 drivers very familiar with Sepang International Circuit as they had the opportunity to track pretty often on bolt on modified setups (simple aero, intake & exhaust with coilovers). In this respect, I was severely disadvantaged as I had one crowded trackday and one brief time attack practice after 1.5 years of absence from the track with which to familiarize myself with a vastly different from stock setup that I was running before. As such, it was easy to assign oneself a much lower chance to exceed those benchmarks with such a huge gap in track seat time. To complicate things further, the car was constantly in a state of flux in terms of feel as braking, aero, alignment and tyres were changed from each of those events to the next. Going from old tyres to fresh tyres of a different brand, constantly fiddling with tyre pressures, a change to pads with vastly different friction characteristics, experimenting with alignment and tweaking aero grip meant I couldn't have a consistent setup to concentrate on the driving. Even an attempt at using data to speed up the finalization of the setup by analyzing tyre temperature & the data-log of the racing line fell flat on its face as it became apparent that I was under-driving the car rendering the data virtually useless. The gloomy clouds above when the track opened seemed ominous but I got down to warming up the tyres and stiffening the suspension up to what I felt was optimum. Within a few laps I was consistently lapping less than half a second slower than my personal best. Some traffic got in the way and I got held up leading to mid 2:40's laps. I was pleasantly surprised that the Über Garage crowd was very polite and friendly both in the pits and out on the track. It must be said that some on track courtesy & etiquette goes a huge way to make a track day enjoyable and safe. A light shower slowed things down so I pitted for a break and waited for the sun to come out and dry the track up somewhat. Heading out again, I noticed a fellow S2000 passing me as I exited the pits and decided to try to play catch up as I knew this particular S2000 had clocked some decent times previously. Some messy driving at Turn 7 and 9 created a bigger gap so I was not surprised when I saw the RaceLogic Performance Box log a low 2:40's time. Pushing harder with late braking while being careful to take an apex which was wasnt too late and focusing on higher corner exit speeds, I saw the widened gap began to narrow. As I inched nearer my target ever so slowly, I had a feeling this would be a flyer with a good time, maybe a 2:40 flat? Getting a high 2:39 woud be a job well done in my book so you can imagine how ecstatic I felt crossing the mid way of the front straight and watching the magic numbers flash out: 2:38.30 This timing would likely rank me among the quickest street tyre S2000's at Sepang! Pitting quickly after to keep the tyres hot, I logged my tyre pressures which had given me this excellent time. Regrettably, I had neglected to get new batteries for my tyre temperature probe I couldn't get a gauge of the temperatures for record keeping. I sat down for some refreshments provided by Über Garage and mulled over what I had done right to slash more than 3.5 seconds off my personal best. Interestingly enough, despite the euphoria I felt from the result, I found myself picking out all the mistakes I made and thinking how much quicker I could have been. It was then that I realized that not only had a barrier in laptime been swept away, a personal barrier of mine had been overcome; the mental barrier of being limited by guess work, comparisons to other setups and references to other drivers. I no longer had to be concerned so much with what was consensus on what sort of extensive (and expensive!) 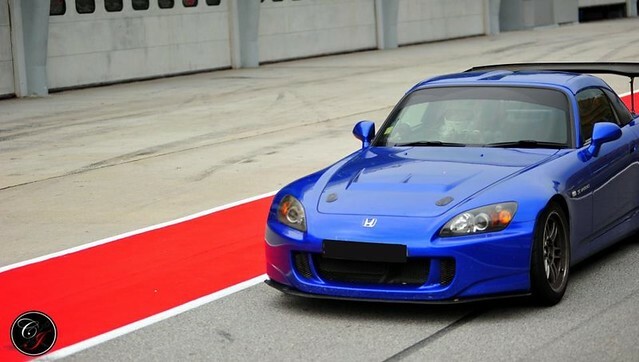 modifications were "required" to hit quick times or how it was common knowledge that the S2000 would always be slower than the current favourites on the track such as the FD2R. In building this car, I had certain reference points which were now redundant considering I knew that quicker times than I had expected were capable from both car and driver. 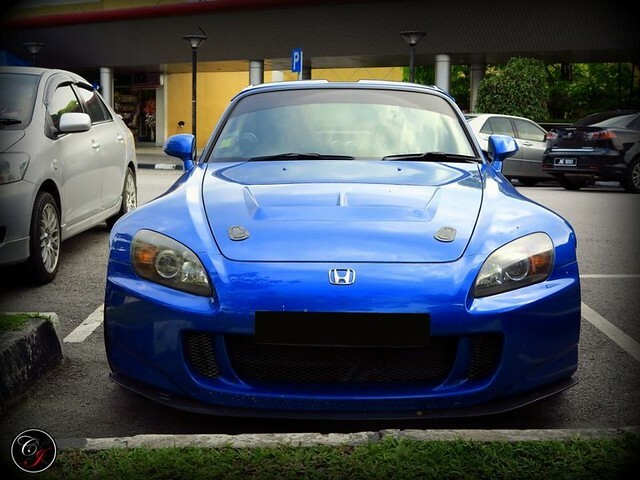 With that in mind, a fire burned brightly anew within me to surpass the limits of what common knowledge deems possible and to bring out the true potential of the racing DNA of the Honda S2000. well done pipi! here's to even better timings! Kenneth: I'm not so sure which chassis has a better track setup as to be honest the chassis of the S2000 is way older than that if the FD2R. The longer wheelbase, improved aerodynamics and better mid range torque via ivtec engine of the FD2R are significant advantages above the S2000 to be frank. The only "street" techniques I'd say to practice would be heel and toe smoothness. The rest might be better left to the confines of the track. What I feel I did to improve a bit quicker was to think through which corners i had neglected to focus on exit and try to plan my driving. Multipliers like final drive multiply what's available in torque and what I can gear up, so can an FD2R. What much greater cost do u mean? If its maintenance like oils, I believe S maintenance is about the same as FD2R. Insurance is only 1.3k per year. Your dad taught you? U mean when u were delivering tofu at night? Lol! Like Bunta haha! When I got the S brand new, depreciation was 10.5k per year, so pretty reasonable upkeep. Service costs are also very reasonable. Very impressive to have your dad teach you all these long term habits of good driving. Heel and toe can help preserve the lifespan of the diff as well in cases where cars with a weak diff. Meet for kopi no problem however I am not a racer like you so I can't give much racing perspective haha!